Radical Richard did a great job at my son's 9th birthday party. The kids liked the presentation, and the slime experimet was a huge hit. 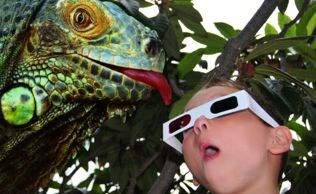 I happily recommend Mad Science to anyone looking for a fun hour for their kids' parties. Jupiter Jen was FANTASTIC! My daughter had already attended 2 Mad Science sessions after school and her birthday party was just a step up. Jen was fun, engaging, and made sure that each guest got to fully participate. I don't even think the kids realized they were actually learning. Lol. From a parent's point of view, Jen was prompt, professional, and conscientious of our home and keeping her space tidy. 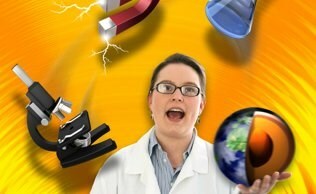 I'd highly recommend Jen to anyone thinking of having a Mad Science party. Thanks, Jen...you rock! I bought this through Groupon for my son with high functioning Autism because I didn't want to invest in the camp if he didn't like it. Not only did he like the camp he LOVED IT! So much so that when I told him that they were sold out for the rest of the summer he was soooo dissapointed. This year as soon as the summer camp opened I booked him into EVERY session! I even booked his little sister too! All year he's been conducting experiments and creating inventions of his own. Now he and his friends are lab rats and I can't thank you enough for giving us this. This is WELL WORTH the money! Radical Richard was awesome!! The kids and the adults had a lot of fun and we even learned something. Richard was very professional with me and really got the kids interest and held it. One of the parents who came to pick up their child commented how amazed they were that the kids were so quiet and enthralled by what Richard was doing! I would highly recommend this for parties or school functions or any other function where you want to have a ton of fun with science!! Thank you Richard and thank you Mad Science!! Our party was fantastic! Radical Rich was so much fun, and my son and his friends had a great time! The experiments were really cool, and the Bubbling Potions grand finale was awesome! I would definitely recommend Mad Science to everyone. These guys rock!